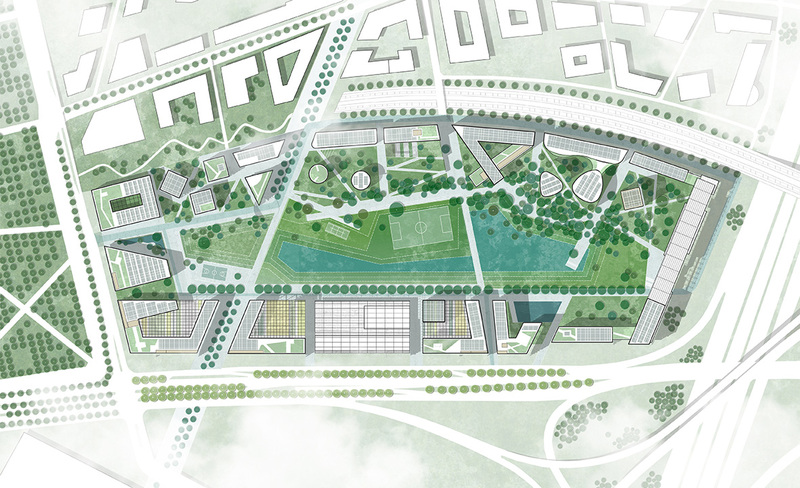 karres+brands, RAU and SeARCH together with developer BSI (Bopro Sustainable Investment) were announced as winner of the largest European competition “Inventons la Metropole de Grand Paris” for Triangle de Gonesse. 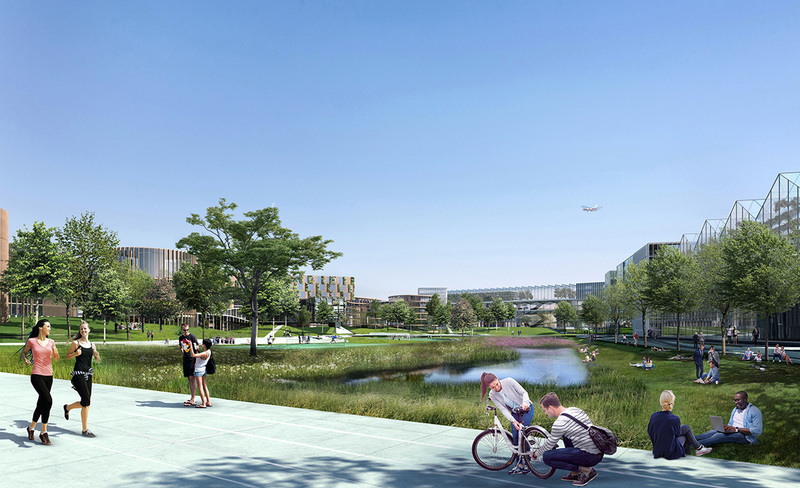 The proposal reinvents the business park as a lively and diverse ensemble defined by public space, where sustainability is promoted in every sense of the word. Triango is a vision by a team of architects and designers led by karres+brands, RAU and SeARCH and including Atelier Philéas, Lateral Thinking Factory, BIGH and Studio Beyond. 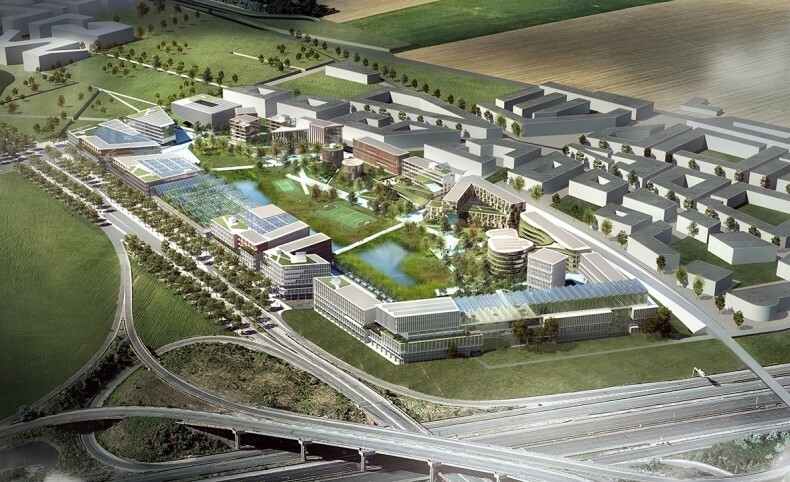 The 15ha project is a state of the art example of circular economy and aims to realize 167.000m2 modular offices, incubators, ateliers around a central park. Not only is Triango an anchor in the development of the Triangle de Gonesse, it also serves as a reference for a new type of office area. Through the combination of nature, sport and work, Triango generates a new range of possibilities, creating space for the known, new and unexpected. Just as natural elements are defined by their links with different molecules, the park is strengthened by its public space and inter-building connections. 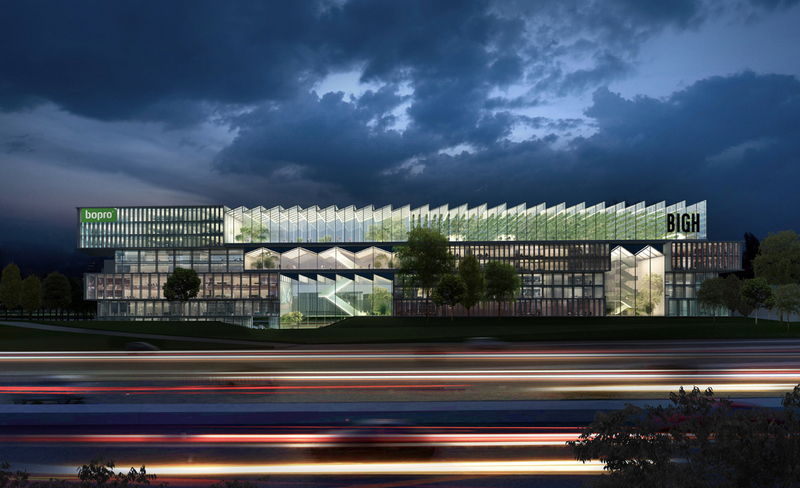 Rather than fighting iconic architecture, Triango seeks synergy. Triango is also a working landscape machine with an integrated natural water system. Not only will water be buffered and filtered on site, it will also be purified for consumption. All in all, the system offers high-quality space for sports and ecology, inviting users to stay and enjoy. The existing topography is used to determine water flow and define gathering spaces. The central water purification machine is located directly on the urban strip, where passers-by can experience the green-blue system and all it has to offer. Out of the total 57 winners for the Inventons la Metropole de Grand Paris the proposal was awarded among top 5 most innovative projects. This means that it will receive priority in the next 18 months, with the aim to realize the first phase by 2022.